I have been on this planet for 61 years and done a lot of things, but am a total newbie at powder coating. I'm so new I have everything I need to get started, but haven't even used it the first time yet. I have spent a lot of time reading thru this forum and its archive and just wanted to thank y'all for being so willing to share and not berate the beginner as is done in some forums. I will be learning and honing my skills as I restore my 66 Impala and will probably have lots of questions. Until then thanks again. If you are going to have a senior moment, make it memorable! Welcome to the forum. Never let your age be a restriction. You only have a few years on me and the "end-of-fun" is nowhere in site. Cuts, scrapes and burns take a little longer to heal but throw a daub of grease on it and keep going. I hope you share your own experiences as everyone learns something new and simple mistakes can be a reminder for even the most experienced. Once I get my '25 Ford Touring back on the road, I have a long list of projects. A 57 Silver Hawk, 48 Hudson, 56 Lincoln and a 56 Studebaker truck are near the top of the list. Another gray haired ole fart with cars? Well, Welcome aboard. It sounds like the three of us have a couple of things in common. 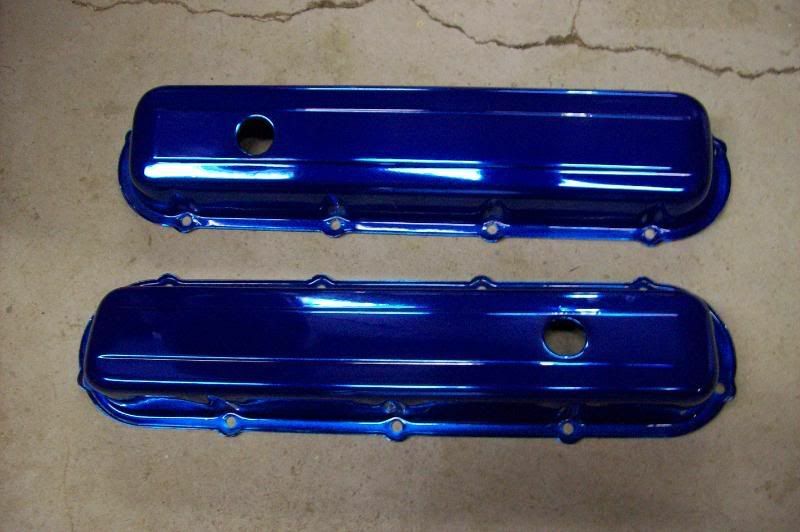 Old cars and Powder Coating. Oh! and our age. Yea, ask away. Ole Carwiz is pretty good with several area's. He's helped me along the way. Here's some of today's work. Who says you can't teach an ole dog new tricks? You're not the only old fart around here. I turn 61 in 30 days and at 59 purchased an older Bridgeport CNC machine and started milling performance intake manifolds for the Yamaha RoadStar Motorcycles. ( Never did machining in my life) then got into doing custom engravings and parts for the bike. Now at 60 just purchased a Caswell PC system an learning. Never too old to learn something new and loving every minute. Welcome!! I feel like a baby at 53...LOL I too am just starting and have ordered my kit and have been reading through the threads in this amazing site. Once I start please allow me also to ask some silly questions at times. Welcome aboard the powder train. Maybe we should start and Old Fart Sticky. I look at it now and wish I would have started sooner and had longer to enjoy it. Ive only been doing this for about a year..
Its actually pretty easy.. hardest part is not being to extremely picky about how the parts turn out the first few times.. Dont get discouranged! #1 you need a VERY good clean surface free from all Grease and oils.. I also like to preheat all my parts (unless its virgin steel) this helps get a little more powder on the parts and limits the waste of the powder. All times are GMT-5. This page was generated at 02:13 PM.